Of course the reason Brett can be so elusive is that he’s simply just so busy. As Engineering Supervisor for CSG and SepticTanksandCesspits.com, he brings an extensive knowledge of pumps and pumping – an ideal specialism as moving liquids is a mainstay of our services. He alternates his time, seemingly daily, between our Head Office in Fareham and any of a number of sites that he oversees. For the last four years, he’s applied his specialist knowledge at the comapny. He patiently explains the rudiments of pumping: “you’re either looking to get the right level of flow (in litres per minute) or the right distance, which is represented as a curve on a graph. The complicated bit is when you need to move the curve with the current you have”. The data is in and we’re pleased to see our customer service targets (for our domestic customers) being met and in some cases, exceeded! 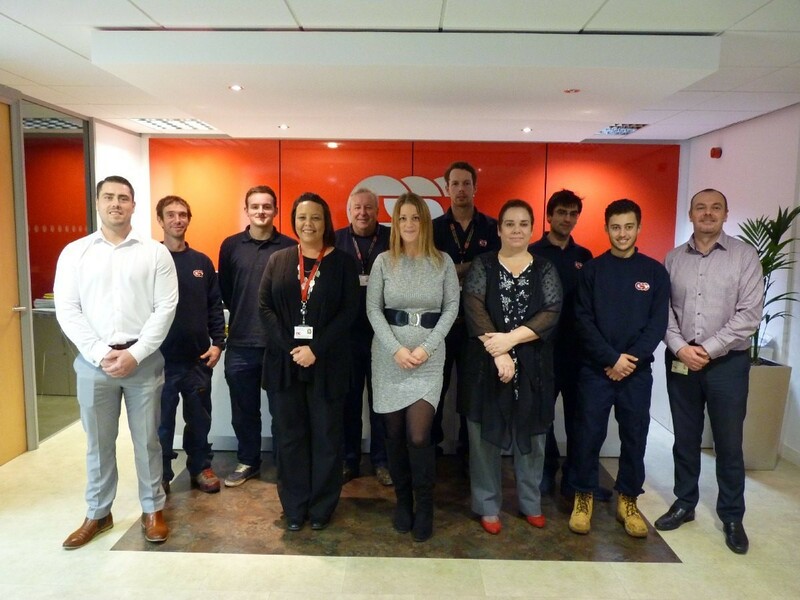 Being a customer-focused organisation, we’re keen to see what we do well and where we can improve so we make a point of asking the best experts we can find – customers! A short survey after every septic tank clean gives us the opportunity to see how well we’re really doing at keeping them happy. It’s also proven to be a great way to get ideas to improve what we do. In February, we saw that 96.3% of our domestic customers surveyed marked us with a 7 or above (out of 10) to the question “How likely would you be to recommend us to others?”, a fantastic achievement, we’re sure you’ll agree. In March that same measure actually went up to 96.8%! It was the same story for higher scores, with February’s level of 10-out-of-10s (68.8%) being eclipsed by the level in March (77.4%). It all points to greater satisfaction – which is the key here because nobody is likely to recommend a service with which they are anything less than satisfied! We believe that recommendation is the highest accolade we can aim to achieve from our customers so to see such a huge proportion of those we surveyed stating they’re highly likely to recommend us is a wonderful endorsement of our services. Of course, having set such a high benchmark, the challenge now is to ensure such standards are at least maintained and, if possible, improved further. We can also drill into the data for each of our depots to see how and if the story changes from one to the other. Waste management is an industry not particularly known for embracing such ‘soft’ ideas as customer service and feedback and we feel especially keen to ensure that we remain committed to listening to all our customers and doing all we can to continue to improve our image and appeal to everyone we serve. Solids. As they are denser, gravity dictates that they will settle at the bottom, where they will continue to decompose, which means break down further until they leave a dense sludge. Liquors. As the solids become denser, the liquid matter separates from it. The more solid separation that occurs, the more safely it can be returned to the surrounding area. Scum. The crust is made up mostly of floating fats, oils and grease (and food). This matter collects at the surface of the liquid and should not be discharged with the liquid. We are looking forward to working with you again in 2017 and continuing to offer you the great service you’ve experienced in 2016. Until then, we wish you a wonderful Christmas and happy New Year! 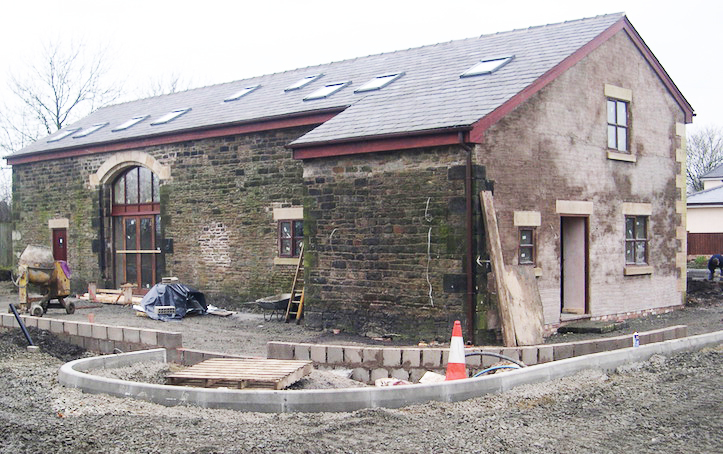 Full image of renovation and septic tank installation in progress (above). You may have heard of these additives that suppliers claim provide an effective alternative to getting your septic tank emptied regularly. But what a lot of you may be wondering is whether they really work, or whether they actually are a sustainable alternative to getting your septic tank emptied annually. The additives in question are said to provide biological treatment for digesting organic waste. The producers behind the substances claim that they are made up of completely organic product and will not counteract the necessary bacteria already in your septic tank. They are said to reduce the need for repeated tank clear outs and soak-away repairs or replacements, naturally restore and maintain sewage systems, unclog drainage systems and remove odours. To utilise them, it would require you to pour the liquid down your toilet at regular intervals. These intervals must be met otherwise this will lessen their effectiveness. 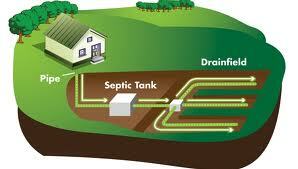 Researchers have stated that, for septic tanks, there’s really no need to add bacteria. This is because, in the UK, the moderate climate means that the rate of anaerobic digestion is very slow, meaning that sewage systems, such as septic tanks, function more as a sedimentation tank than a bio-digester. What this means is that physical processes are much more important than biological ones, so there is no need to try to optimise the biological processes with additives. A healthy sewage system should already have all the micro-organisms it needs, and therefore you may be doing more harm than good by adding these substances to your sewage system in its long-term life-cycle. Scientists advise that maintaining a healthy sewage system can be achieved by monitoring water usage and ensuring that it is emptied regularly in accordance with the rate at which it is filling up. ARE ADDITIVES A GOOD IDEA OR NOT? The Environment Agency states that you should have your septic tank or sewage treatment plant emptied every twelve months regardless of whether it is full or not. Therefore, with the cost of these additives at around £30-£50 a year, you will still need to arrange for annual sewage clearances to be made at an additional charge. Finally, for the additives to take effect, it requires monthly maintenance work on your part, remembering to add them in order to ensure optimal effectiveness. Is it worth the hassle? What do you think? Do additives really work? Leave your comments below. Finally… Consult the Experts! 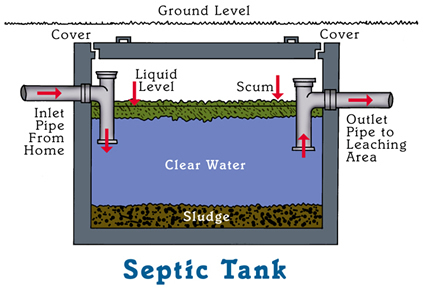 – SepticTanksAndCesspits offer a comprehensive maintenance & repair service, providing inspections and pump repairs in order to ensure your sewage system is running smoothly. 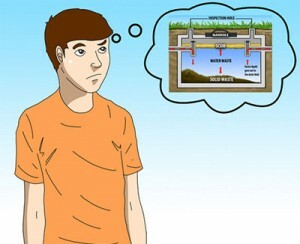 Booking your sewage clearance could not be simpler with Septic Tanks and Cesspits! Watch our new video to see just how easy it is. Get an instant online quote for your wastewater collection. © 2013 Cleansing Service Group Ltd. All rights reserved.